I love having the clean slate of a new year, don’t you? It is the one time of year when the focus for many people is on…what’s next…what will I do… be… have? What will I create now? If you have been following this Destiny Vision email series, then you are super primed to look forward. With the past clearly viewed and mined for wisdom. After diving into dreamland for some magical insight. It’s time to create your vision for the new year. It is now time to put your vision together and prepare for action. Get ready to take those teeny tiny steps toward your vision. This is where all the fun is! 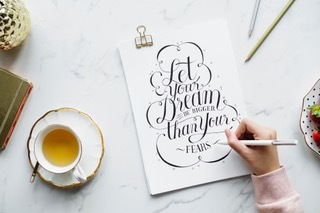 The steps you take not only get you closer to your vision, it is an empowering experience to move past fears and create something new that fulfills you. 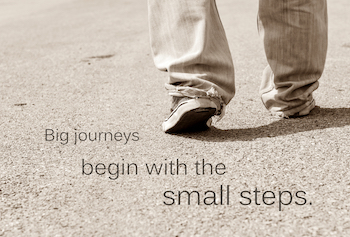 I am a big fan of those teeny tiny (and sometimes big) steps on the soul’s journey. And I have found it can be helpful to have some guidelines and goalposts along the way to mark your progress. Thinking of goals as guidelines, not deadlines, look at the following time frames in order to begin identifying the more specific results you are seeking. You can make up your own time frames as well. I suggest you have some that are close so you can feel their presence and use it to generate momentum and at least one that is far enough away to be Big and Inspiring! Goals are the end point of a quest. In order to realize anything new in life, you need to change your behavior. Take on new beliefs and perhaps have a shift in how you view yourself. One of my personal favorite visioning tools is a yearly intention. My intention comes from a soulful place and is about who I am being and how I am staying true to my highest self. I check in with my intention often to see if I am on track with what is most important and if I need to make a course correction because I have drifted off course. It’s a great tool to have. To finish off your Destiny Vision for the year, I challenge you to go for your own personal gold by committing to new habits, taking on an empowered identity and creating an intention that makes your heart sing and perhaps makes you gulp!